EVGA SuperNOVA G3 PSUs offer "Small Size, Big Performance"
EVGA has updated its SuperNOVA G series of PSUs, announcing the new SuperNOVA G3 range. The firm hopes to build on the plaudits it gained with previous members of this PSU series for efficiency, performance and reliability. Thus EVGA has tredesigned the G2 lineup to make them offer better performance, and quieter performance, in a smaller size. The SuperNOVA G series are over 90 per cent efficient, claims EVGA. They deliver improved efficiency and lower ripple compared to the previous series. Simultaneously, EVGA has managed to shrink the size of the SuperNOVA G3 range. The previous G2 range were in general about 165mm long but the G3s are all 150mm long, that's a decent size saving and makes them "some of the smallest power supplies on the market today". Despite the reduced size, EVGA has shoehorned in a 140mm Hydraulic Dynamic Bearing Fan. According to EVGA, this fan provides "whisper silent" operation over an extended lifespan and in EVGA ECO mode provides totally silent (fan stopped) operation at low loads. Even with the system load at 100 per cent, and fans running at fell pelt, these PSUs never produce more than 25dBA (550, 650, and 750W models) or 35dBA (850 and 1000W models) of noise. These PSUs all follow the popular modular design philosophy; just attach the cables that your system actually requires for tidiness and optimum in-chassis airflow. Other standard features include; the use of Japanese brand capacitors, and protections such as OVP (Over Voltage Protection), UVP (Under Voltage Protection), OCP (Over Current Protection), OPP (Over Power Protection), SCP (Short Circuit Protection), and OTP (Over Temperature Protection). EVGA's SuperNOVA G3 550W and 650W models come with a 7 year warranty. The higher output models get a 10 year warranty. 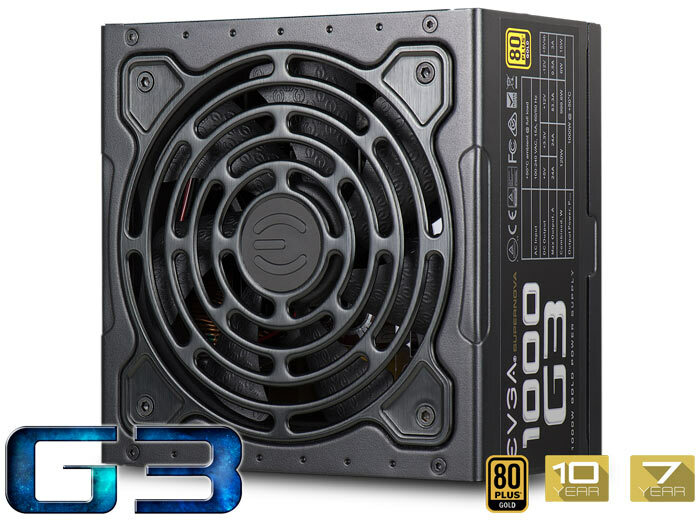 We haven't been supplied with a schedule for availability or pricing info but a (glowing) early review of the EVGA Supernova G3 1000W by Jonny GURU says that this top of the range model will set US customers back by $159.99. 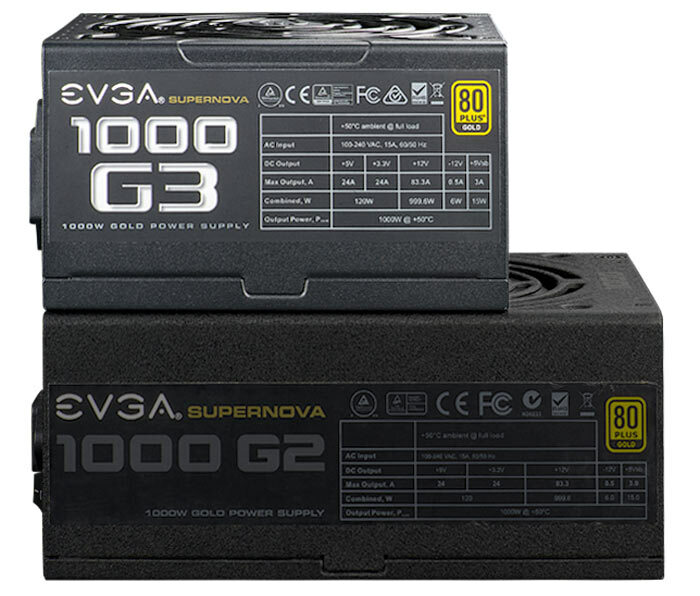 The 750W EVGA SuperNOVA G3 power supply is available to purchase from Scan Computers. 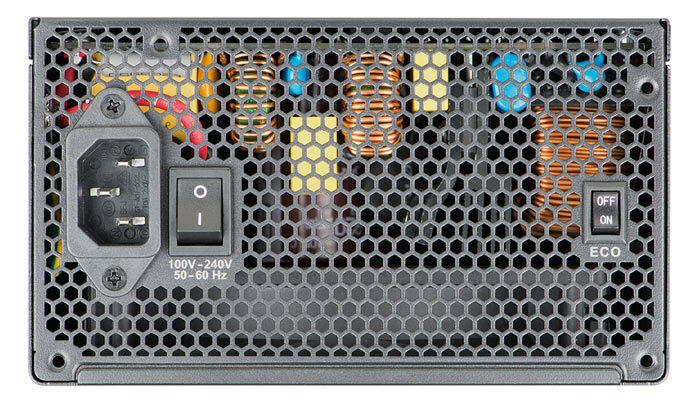 69 QOTW: What wattage is your power supply? But did they attach the thermal pads? It scored 9.8 out of 10 on Jonny Guru, they don't get much better than that! wonder why you have to select the silent running at low load mode ? Still Eco switch does look cool.